When my partner got me Harry Potter tickets for my birthday I was beyond ecstatic. 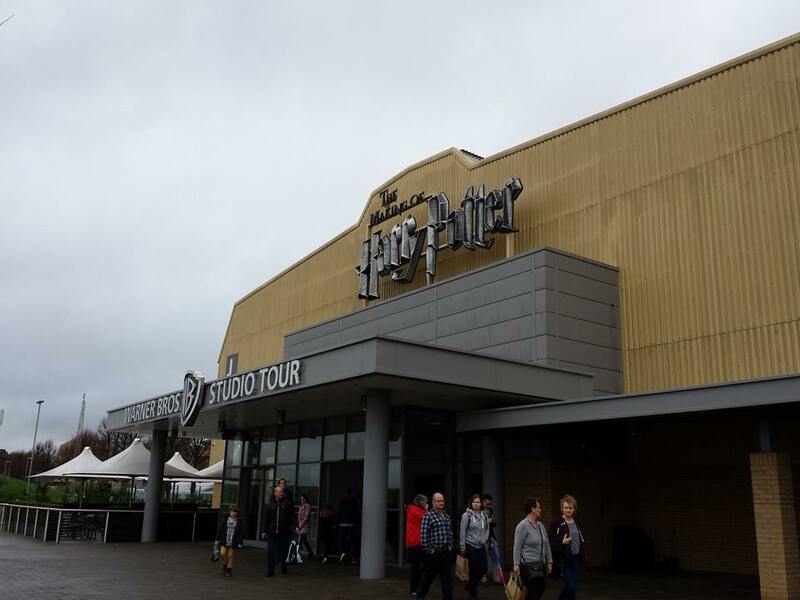 I'm a huge fan of the franchise dating back to my childhood, I was all about studying Harry Potter in year 6 English and making slippers with Harry's scar on in arts and crafts at primary school, even going to watch the first film on a school trip which happened to be my first cinema experience. And even thinking back to my ten year old self and how much of a fan I was of the books and films, not much as changed, only now is that I now have two potter mad children, after I introduced them to the franchise, I felt excited not just for myself but for my children who also love the films and me getting to introduce them to one of my biggest childhood memories and loves was fantastic. An experience we'll never forget. In the foyer people waited around ready to begin their tour, off to different directions were the gift shop and cafe. 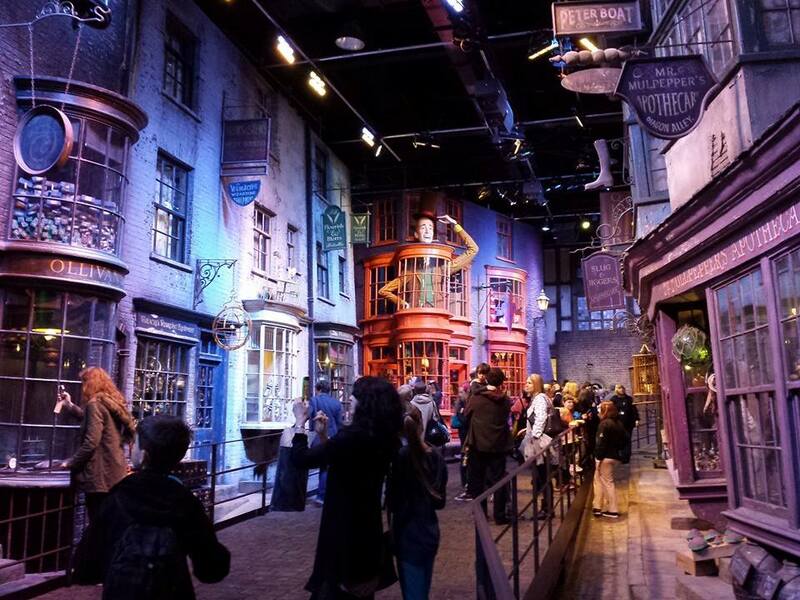 On the walls were photo's of the cast and the Weasley car etc. I collected my digital guide before joining the que ready for the action where we were gifted a badge with hedwig on the front and the special event that was going on at the time. In the que we managed to get a look at the famous cupboard under the stairs. Once we made our way through the doors we were met by a lady who hyped up the tour and showed us a glimpse of the beginning of Harry Potter via TV. We then walked through another set of doors to a screening of the Harry Potter franchise, clips from beginning to the end. Once that finished the tour began and what a tour it was. I must warn this post is photo heavy. I originally was going to use Picmonkey to make the pictures smaller and closer together therefore the post wouldn't be so big, unfortunately picmonkey had other ideas and wouldn't allow me to upload them, therefore I've chose the best ones and toned it down a little. After what was one of the best days of my life, I learned to really appreciate the movie even more. The attention to detail was fantastic and you can tell just how much effort on set and most importantly behind the scenes that was put in. We went during the time when the animal actors (owls) were there - what a treat that was! I'm truly disappointed that I'm unable to share all 300+ photos with you (yes you heard correctly. Three hundred!!!) The studio was well worth the journey and I'd go again tomorrow if I could. It's fantastic for any Harry Potter fanatic or someone who has an addiction to anything film - I have both. It does get pretty busy, but it's not jam packed that you can't move or see anything - hence why there's time slots for arrivals. Everything was much smaller then it looks in the film but still utterly amazing. If you haven't gone, definitely go it's well worth the visit and remember to try a Butterbeer. Gift shop haul coming soon. I went a while ago not long after they opened and loved it, your pictures are fab. I'm glad you enjoyed yourself Kate, although I have to admit I've never been a fan haha, xoxo.